Mr. Harris returned to NC after serving 15 years in the USAF Band program. He was stationed in Virginia, Alaska and Massachusetts. Hee deployed to Afghanistan in a rock group with horns in 2008. He has been on the brass faculties at East Tennessee State University, University of Kentucky and has performed in the Lexington Philharmonic, Arlington Symphony, Kingsport Symphony and now the Union Symphony Orchestra. He holds degrees in trombone performance from Appalachian State and the University of Maryland. He began Doctoral work before the USAF Bands at the University of Kentucky. Stella Baucom, past chair and longtime patron of Union Symphony, pauses for a “photo op” with Fred Child at the WDAV volunteer reception held on November 1. The program featured Fred, the host of Performance Today, and a young Artist in Residence, a Frenchman that Stella described as a superb classical guitarist. Stella Baucom, one of WDAV’s biggest fans, regularly volunteers for WDAV membership drives. Dr. Elda Franklin, principal viola with Union Symphony Orchestra, recently participated in the Lake Placid Institute Chamber Music Seminar. Four days of professional development culminated in a final performance on August 18, 2017 in Lake Placid, New York. 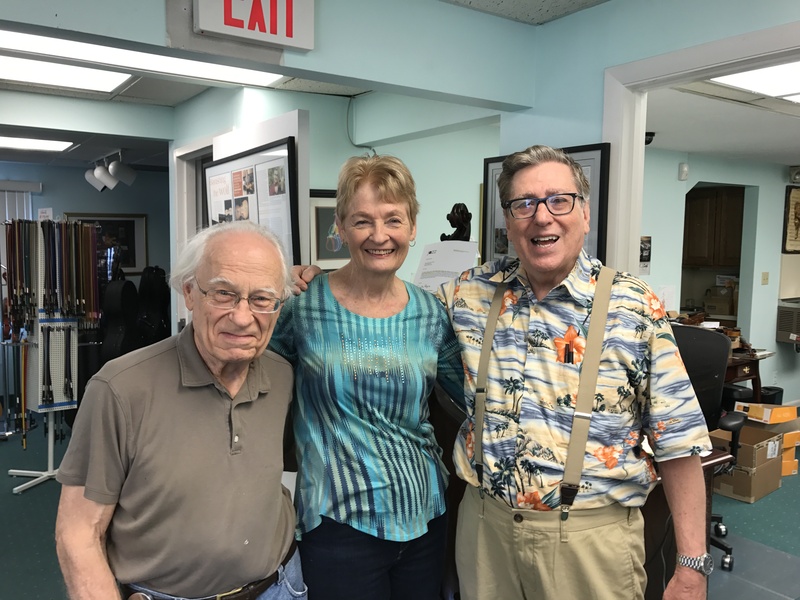 Mrs. Fowler is pictured with Dr. Zaret (R) and a fellow violin maker. Beth Joy Fowler is the director of Allegro Strings and Dorian Fiddles. These youth ensembles meet weekly from September – May to rehearse a repertoire of art and traditional music and play throughout the year at many community events. Students of stringed instruments with two years of formal training may submit an application. A reception was held at South Piedmont Community College on Tuesday, May 2 to honor the life of Lorene Barnhardt, wife of Caleb Barnhardt. A classroom was dedicated in Mrs. Barnhardt’s memory. The program included reflections on Mrs. Barnhardt’s life shared by members of SPCC and the Barnhardt family. Caleb Barnhardt is the past chair for the Board of Directors at Union Symphony. Union Symphony Orchestra Artistic Director Richard Rosenberg and his wife Caitlin share about the National Music Festival. See video. Congrats to Richard and Caitlin!